To find the truth, you've got to be willing to hear it. When she's modeling, Annabel is the picture of perfection. Fortunately, she's got Owen. He's intense, music-obsessed, and dedicated to always telling the truth. 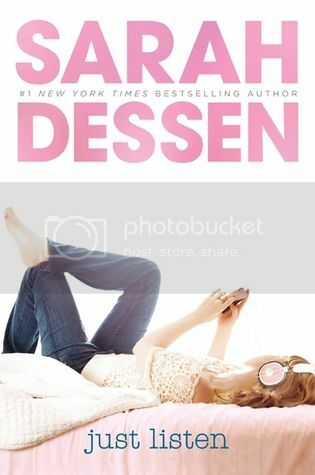 The next book on my list for my Sarah Dessen Readathon is Just Listen, which happens to be one of my most favorite Sarah Dessen books! I first read Just Listen back in 2015, and unlike some of the other books I've re-read where I couldn't really remember much, I remembered almost everything from Just Listen. Seriously, this book is a favorite of mine for a reason. It has a great storyline, which is both lighthearted and extremely emotional as well, and it some pretty awesome, very memorable characters. As I mentioned above, there's really so much to love about this book, including the characters. I love Annabel, the main character. She's often looked at as 'the girl who has it all', but in reality she's so far from that. And she's been through something that no person should ever have to go through. She has a pretty great family as well, even if they do, like most families, have issues of their own to work through. I especially love the relationship that she has with her sisters. I also love Owen, and his love for music, and his great family as well! I meant it, so many great characters in this story. The storyline for the book is lighthearted for the most part, but also deals with some really serious issues as well. Along with great characters, this is another trend I see in Sarah's books. And I love that while the book is a fun read, it also deals with the tough stuff. I find myself relating to so much throughout Sarah's stories, and I know other people will as well, and I'm so glad that these books around in our world. Another thing I really like about Sarah's books from reading them in order is the little Easter eggs that she leaves in each story. It may just be a location, (school, mall, etc) that we know from one of her previous books, or even people that we've met from the previous books! I didn't really notice this the first time I read the books, as I read them out of order, or haven't yet read a particular book to know the characters, but it's so interesting to see. In this book we get to see a few people we met from a previous book, and I loved seeing them again! 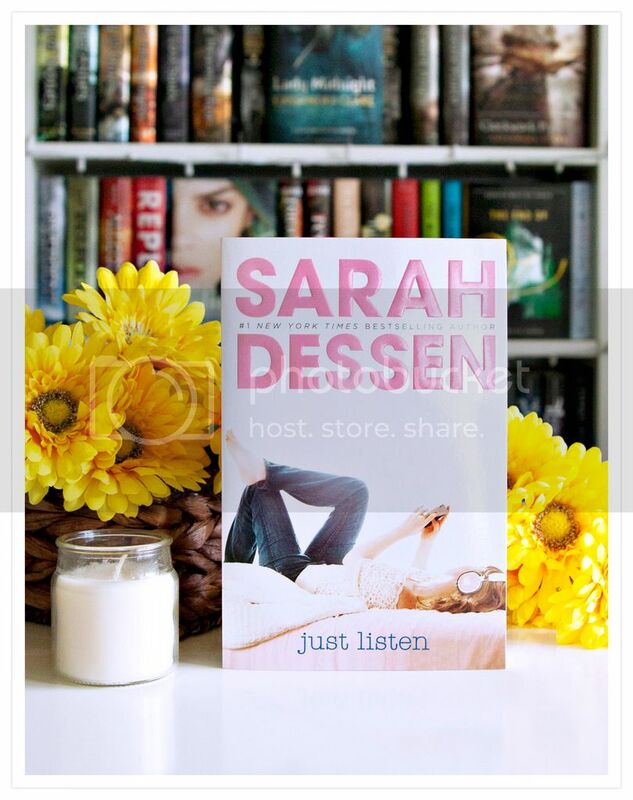 Overall; I really, really loved re-reading Just Listen. It's definitely a book that is worth the re-read, and I actually plan to re-read it again soon! It's so good. Next on my list for this readathon is Lock and Key, which I read in 2009, but don't remember much about, so I'm really excited to dive back into it!